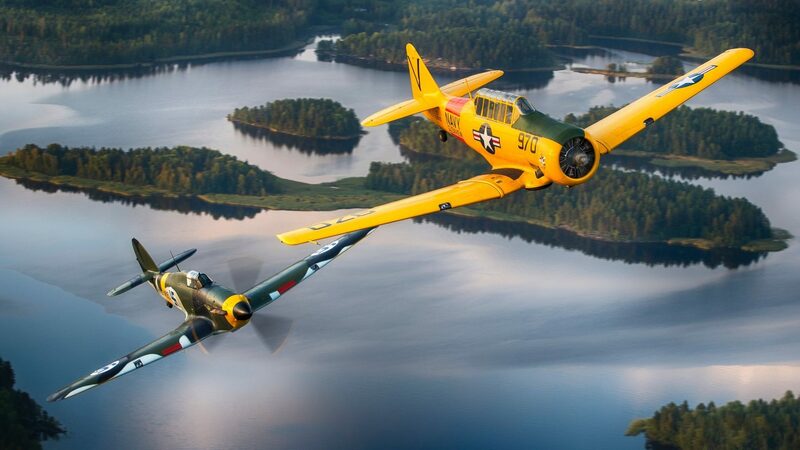 T-6 Texan wallpapers for your PC, Android Device, Iphone or Tablet PC. 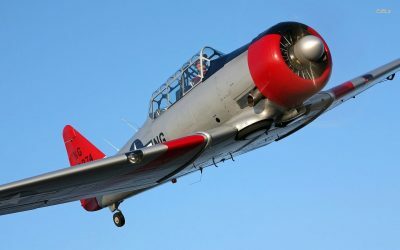 If you want to download T-6 Texan High Quality wallpapers for your desktop, please download this wallpapers above and click «set as desktop background». You can share this wallpaper in social networks, we will be very grateful to you. 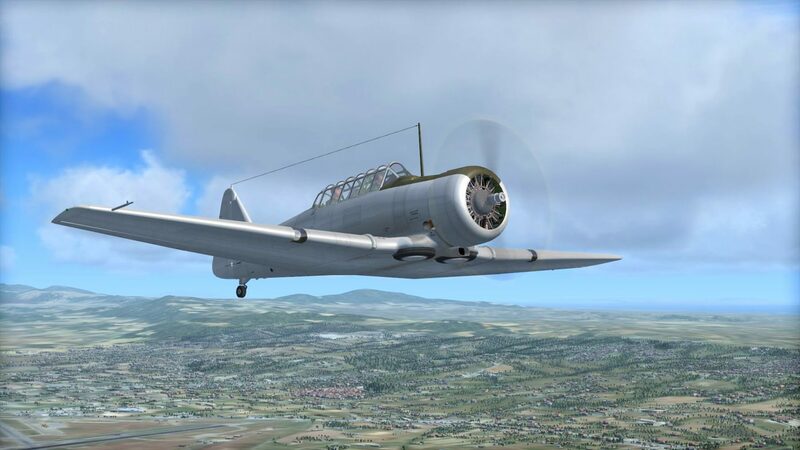 After the end of the Second World War, the golden era of propeller-driven airplanes came to an end, more advanced jet machines began to replace them en masse. However, in some niches screw aircraft are still relevant. 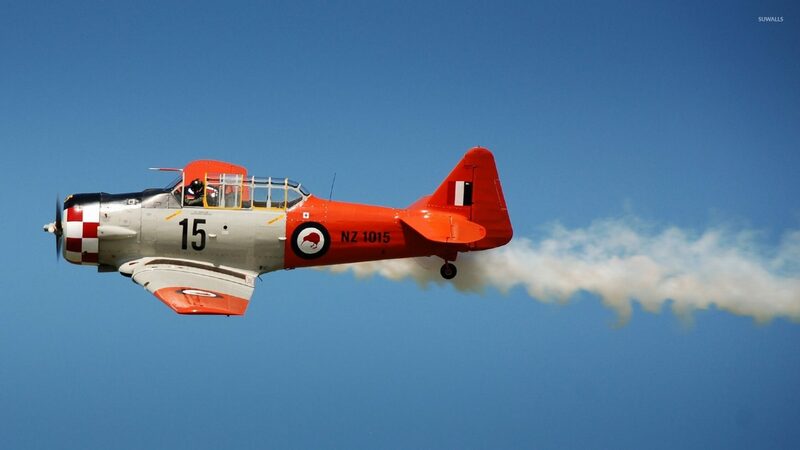 For example, as training aircraft that are equipped with modern aircraft engines. For vehicles of this class include the mass-produced American T-6C TEXAN II and the Russian advanced training aircraft Yak-152. 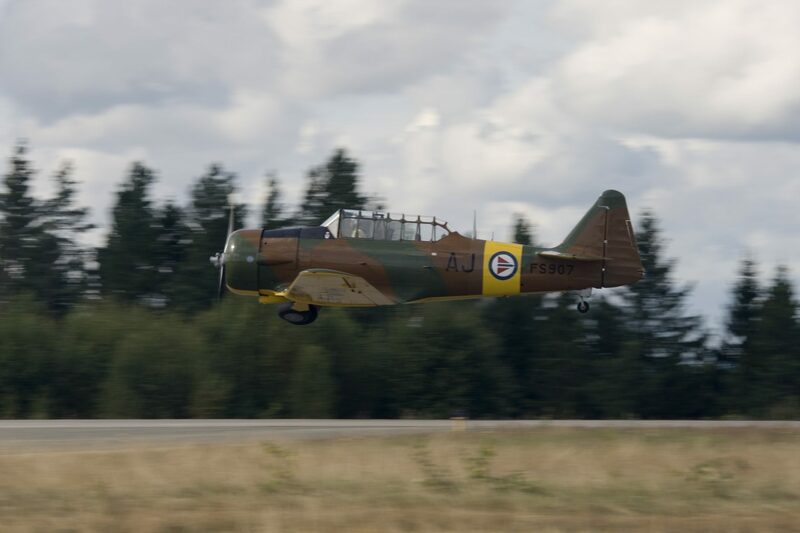 Since 2000, more than 900 such training aircraft of all modifications have been produced. The total flight time of the Beechcraft T-6 Texan II aircraft has already exceeded 2.5 million hours, the manufacturer said. 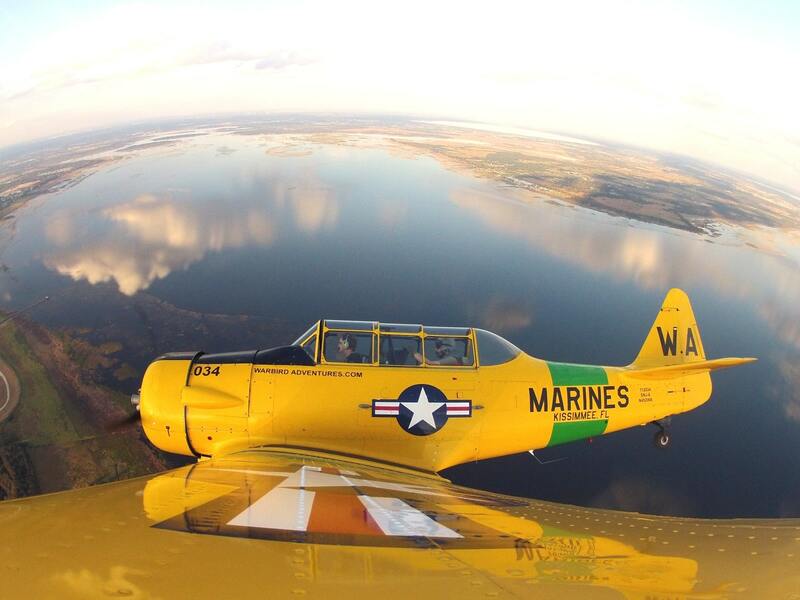 This only confirms the fact that the aircraft is actively used for the initial flight training of pilots of the Air Force and Navy of the United States and other countries. The machine is actively promoted for export and is in demand in the global market for aircraft. On February 16, 2018, the Beechcraft T-6C Texan II, the first two turboprop training aircraft of the 10 ordered, arrived from the United States at the Airfield Base in the UK. Thus, KVVS Great Britain became already the tenth operator of the Beechcraft T-6 Texan II family of aircraft, mass-produced in the USA by Beechcraft (this brand is currently owned by Textron Corporation). In addition to the United States and the United Kingdom, Canada, Mexico, Argentina, Morocco, Greece, Israel, Iraq, and New Zealand also use this training aircraft. 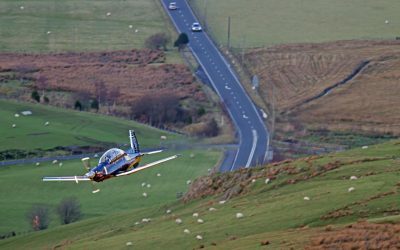 The Beechcraft T-6 Texan II is a training aircraft that was created and produced by the American company Beechcraft, which is a division of the Raytheon Aircraft Company until the end of 2006. Today Beechcraft division of Textron Aviation. 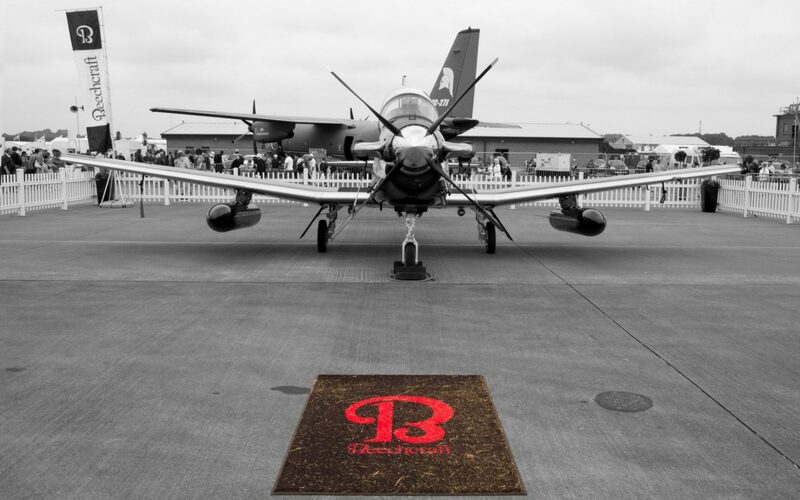 At the same time, Beechcraft is known as a manufacturer of military and civil aircraft. They always had a reputation of very reliable cars, but remained at the same time one of the most expensive in their classes. The aircraft was created as part of the Joint Primary Air Training System (JPATS) program, its main purpose was to replace the aging T-37 and T-34 training aircraft that were used in the US Air Force and US Navy, respectively. Beechcraft experts began work on the creation of a new aircraft back in 1990. 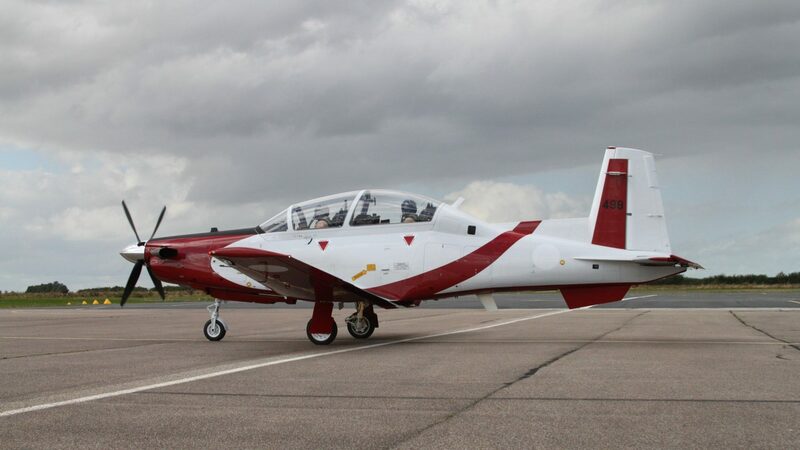 The first two prototypes of the future TCB were created on the basis of another Pilatus PC-9 Mk.II training aircraft. 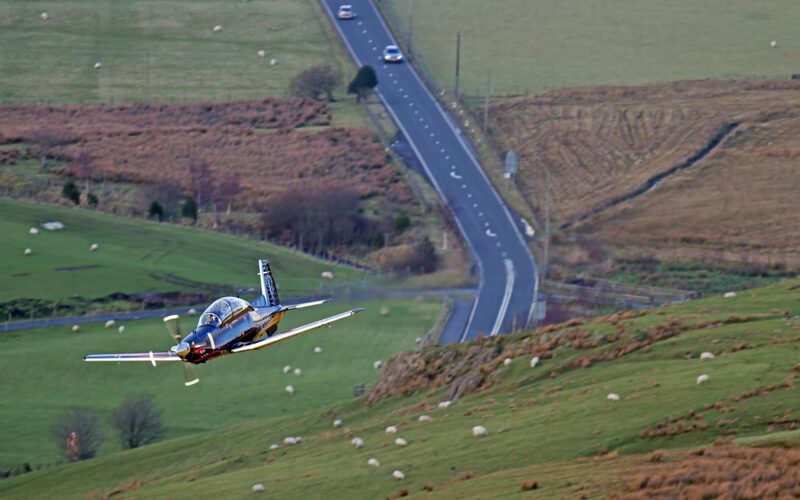 Despite the fact that the plane was like its predecessor, in fact, it was an absolutely new car. The first flight took place in December 1992 at the test site of the company in Wichita. 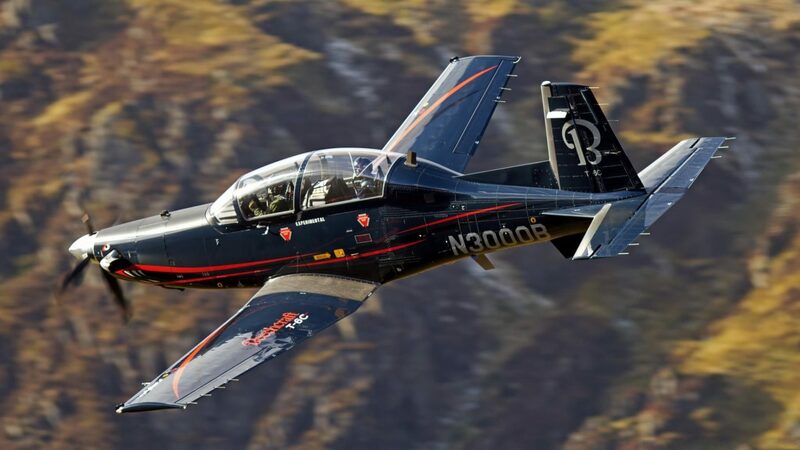 On June 22, 1995, a new aircraft (then under the designation Beech Mk.II) won the competition held by the US Department of Defense under the JPATS program. However, the launch of the aircraft into production and delivery to the operating parts was delayed due to competitive disputes and bureaucratic problems. 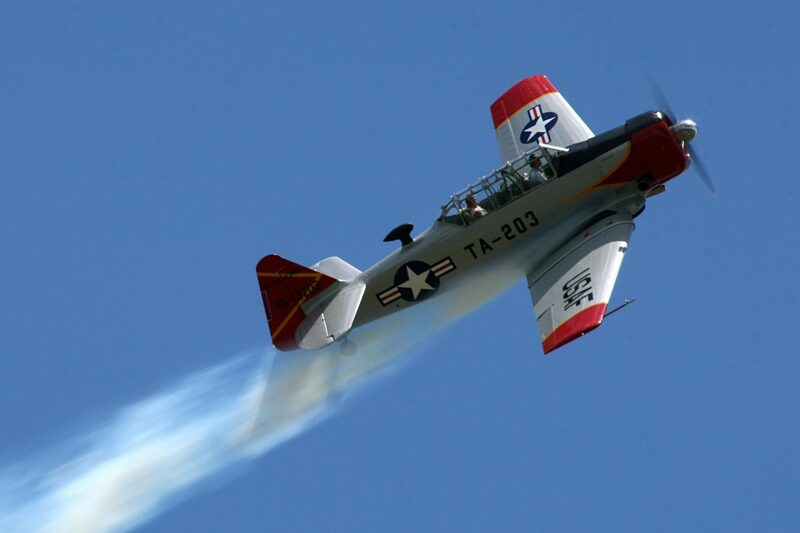 As a result, production was started only in February 1997, and the first aircraft was released on June 29, 1998. The certification of the new aircraft under the FAA program was completed in August 1999 after conducting 1,400 flight hours. 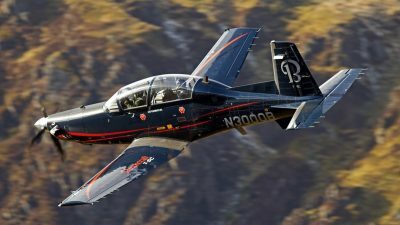 In the same year, contracts were signed for the supply of 372 T-6 Texan II aircraft for the US Air Force and 339 aircraft for the US Navy. 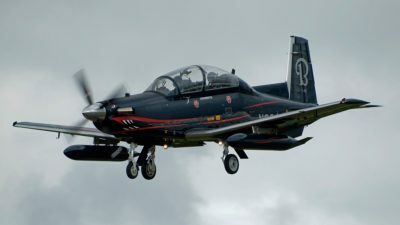 At the same time, contracts were received for the supply of 24 aircraft for the NATO Training Center, located in Canada and 45 aircraft for the Greek Air Force. 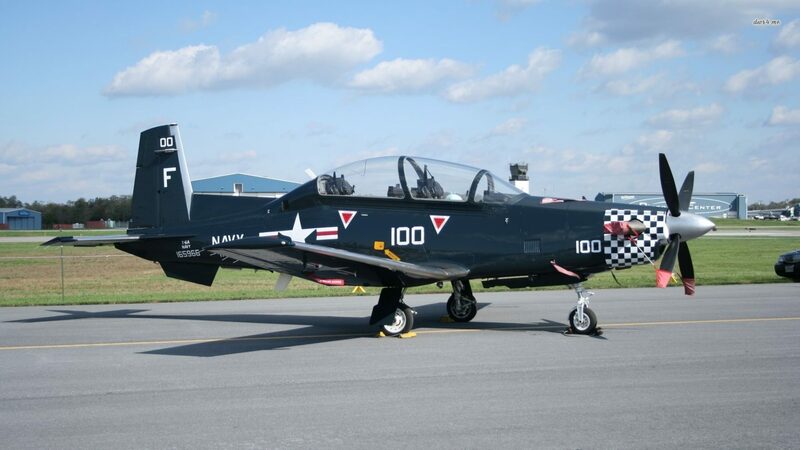 The Beechcraft T-6 Texan II succeeded another famous American light training aircraft, the North American T-6 Texan, which was mass-produced from 1937 and was actively used to train future fighter pilots until the 1950s. 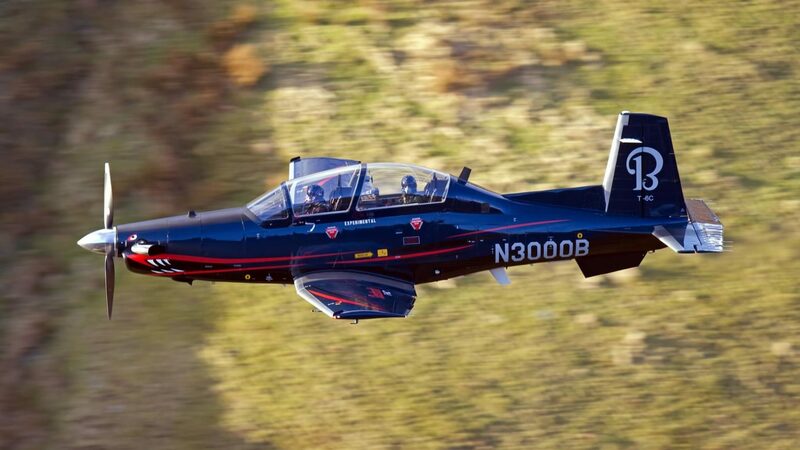 Despite the external similarity with the Swiss training aircraft Pilatus PC-9, the American T-6 Texan II is a significantly redesigned design. American and Swiss aircraft have only 30 percent of the total nodes and elements. 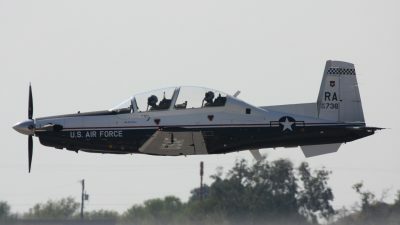 In particular, the T-6 Texan II received an elongated fuselage and an airtight cockpit (Pilatus PC-9 was not sealed). 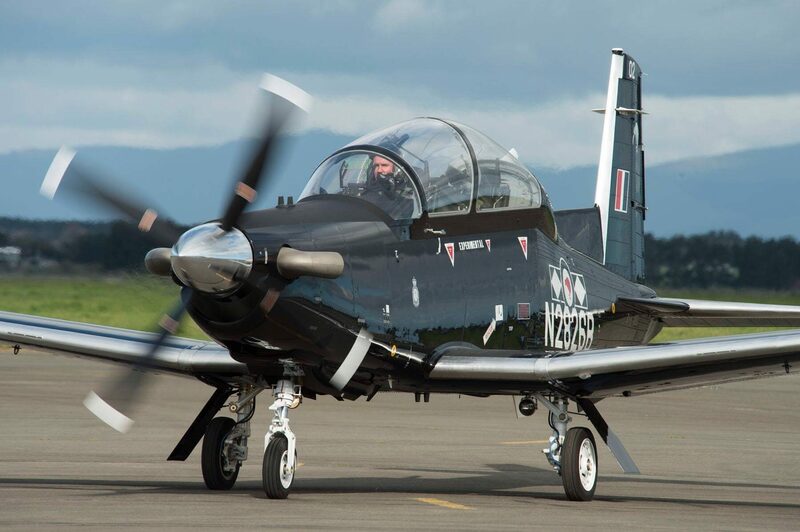 The Beechcraft T-6 Texan II training aircraft is a classic low-wing monoplane retractable with a three-bearing chassis and a single turboprop engine. 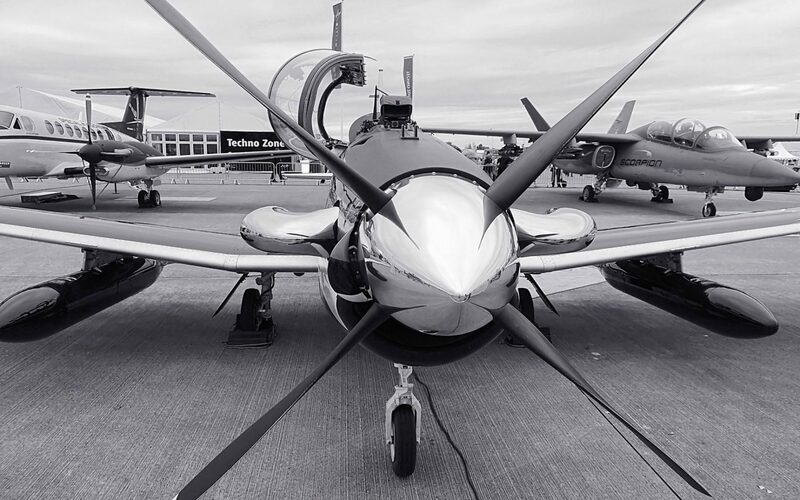 As the power plant, a powerful Pratt & Whitney PT6A-68A was used, which develops a maximum power of 1100 hp. The aircraft crew consists of two people (a trainee and an instructor), who are located in an airtight two-seater cabin in a tandem layout (sitting one after the other). The on-board equipment of the T-6C TEXAN II aircraft (the latest of the existing versions, there are even earlier T-6A and T-6B) meets the requirements and standards of the XXI century – multi-color three-color displays are installed in the cockpits, there are wide-angle indicators on the windshield, so-called Head-Up Display system with F-16 or F / A-18, which is designed to display information on the windshield without limiting the view of the pilot. 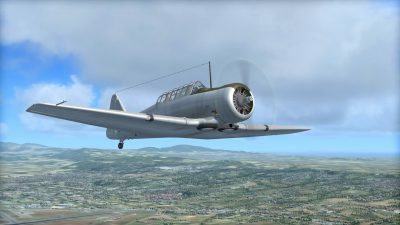 All this made it possible to implement the principle of a fully digital, open-air “glass cockpit” architecture with a dashboard for controlling and displaying flight data (UFCP), a HOTAS (Hands-On Throttle And Stick) control system. 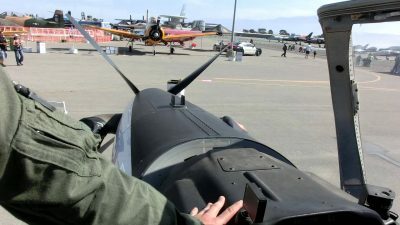 Also, all aircraft model T-6C are equipped with six wing assemblies of the suspension, which can be used to install a suspended fuel tanks or various weapons. The maximum payload is about 1319 kg, the maximum flight speed of the vehicle is 585 km / h. The maximum flight range is 1637 km. 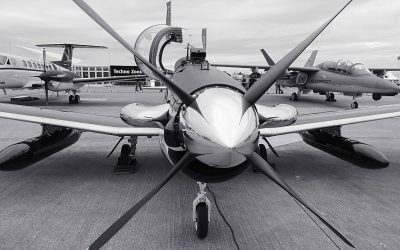 According to the assurances of the manufacturer, the aircraft can be efficiently operated in a wide range of temperatures – from -54 ° C to + 50 ° C, which provides it with a fairly large geographical distribution in the global arms market. The company also reports that the resource of the flight operation of the aircraft has been increased to 18,720 hours. At the same time, the aircraft was tested, during which it demonstrated a threefold excess of this value – 56,160 hours. In addition to directly training options, the Americans are promoting a light attack aircraft version on the market, such machines today belong to the class of counterguerrilla aircraft. This version received the designation AT-6 Wolverine. 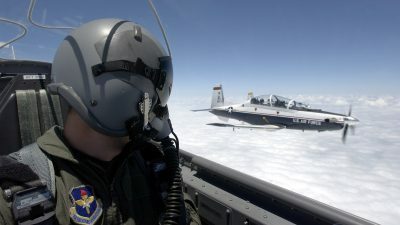 The aircraft received a modern optoelectronic sighting station, a self-defense complex, including an AN / AAR-60 missile attack warning station, as well as an AN / ALE-47 ejection device for infrared traps and dipole reflectors. In addition, the aircraft was able to use a wide range of different weapons. 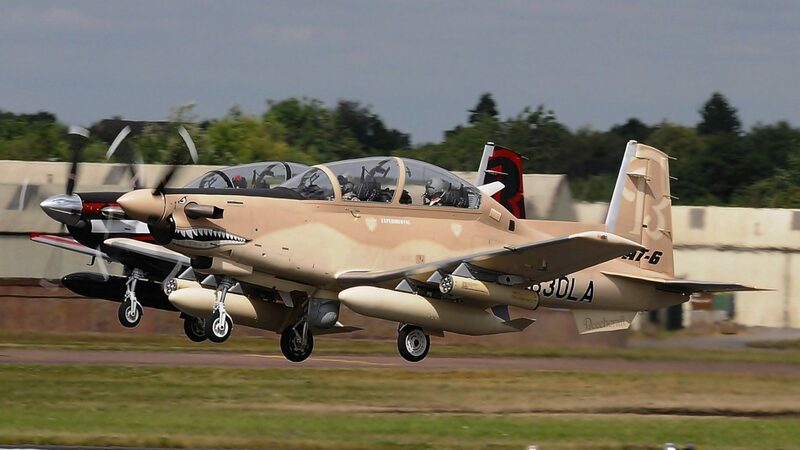 In addition to the usual free-falling bombs, the arsenal of such attack aircraft includes unguided rockets and rifle containers. He can also use some types of guided weapons – the AIM-9 Sidewinder close-range air-to-air missile, the AGM-114 Hellfire air-to-surface missile and the Paveway family of guided bombs. It is also possible to install separate containers with reconnaissance equipment. Overall dimensions: length – 10.16 m, height – 3.25 m, wingspan – 10.2 m, wing area – 16.28 m2. The mass of empty – 2336 kg. Maximum take-off weight – 3130 kg. The power plant is a Pratt & Whitney PT6A-68A HDD with a capacity of 1100 hp. 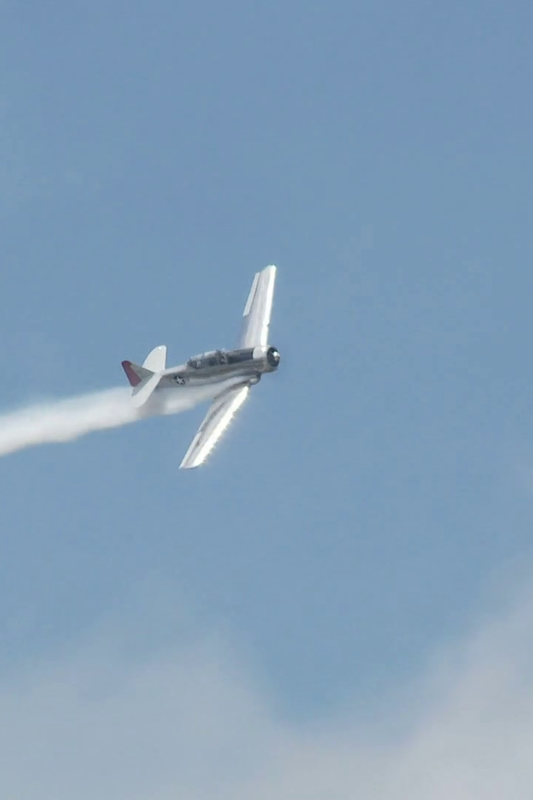 The maximum flight speed is 585 km / h.
The maximum flight range is 1637 km. The maximum distillation range is 2559 km (with two outboard fuel tanks). Practical ceiling – 9449 m.
The number of suspension points – 6 (maximum payload – 1319 kg).